Rebecca is originally from St. Louis, Missouri, and first came to Montana in 1984 on a vacation with her grandparents; that is when she declared, "I'm moving to Montana!" She moved to the Ruby Valley in 1998, and is excited to be fulfilling her dream of living among the trees in the Swan Valley since September 2017. Her professional experience is wide-ranging, including working as the Ruby Watershed Coordinator with the Ruby Valley Conservation District, Volunteer Coordinator for the Red Ants Pants Music Festival, and Executive Director of the Virginia City Area Chamber of Commerce. Rebecca is a 2018 graduate of Leadership Montana and a Gracious Space affiliate of the Center for Ethical Leadership in Seattle. She has a Bachelor of Science in Mass Communications with an emphasis in Public Relations and minors in Journalism and Equestrian Science from Stephens College, Columbia, Missouri. 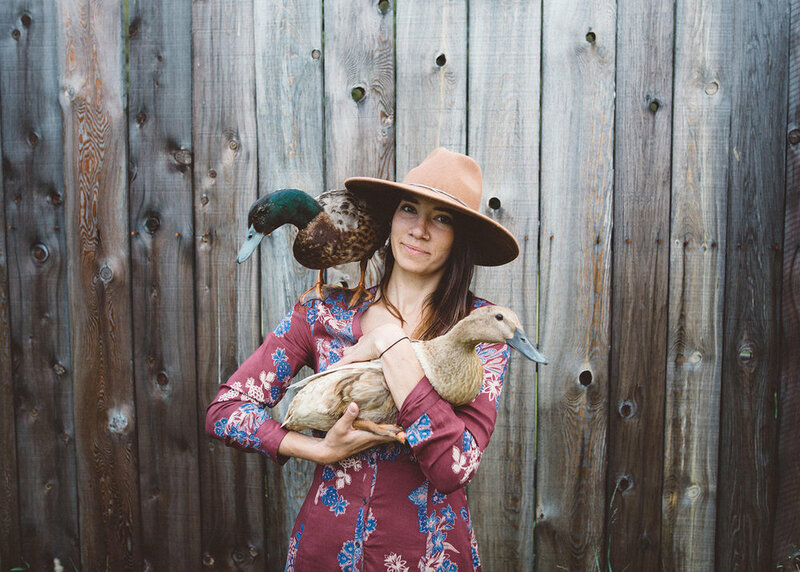 Rebecca is passionate about conserving natural resources and preserving rural lifestyles, live music, good food, traveling and being an ambassador of love. She was recently elected to be a Lake County Conservation District Supervisor. She enjoys hiking, cross country skiing, horseback riding & fly fishing with her pack of standard poodles. Rebecca is a Certified Gracious Space Organizational Affiliate with the Center for Ethical Leadership. As a Certified Organizational Affiliate, she is authorized to conduct Gracious Space training and facilitation within the organization of Swan Valley Connections, and capacities associated with that work through December 31, 2020. With this affiliation is the requirement to feature the logos for the Center for Ethical Leadership and for Gracious Space. Following a passion for the landscapes, communities, and wildlife of the West, Jonathan has worked in a variety of outdoor pursuits including as a researcher for the National Park Service and a field instructor for the Colorado Mountain College. Professional experiences across the West led Jonathan to pursue graduate education at the University of Wyoming where he earned degrees in Environment and Natural Resources, Planning, and Water Resources focusing on the human dimensions of resource use and management. Jonathan brings his experience in collaboration, social-ecological systems, and natural resources to SVC and the Crown of the Continent where he and his family look forward to engaging in a simple, sustainable life among the human and non-human members of the community. Born and raised in the Swan Valley, Luke has developed deep roots and personal connections with the landscape. He has spent most of his life learning the land, people, and wildlife of the Swan, and studied its interconnected processes and relationships. In addition to serving as a wilderness ranger in the Mission Mountains Wilderness for 12 years, his career within the Swan Valley has entailed a wide spectrum of field biology projects that have focused on wildlife species such as grizzly bears, wolverines, and Canada lynx. Since 2014, Luke has directed conservation programs that include: assisting private landowners to restore and conserve wetland and riparian habitats, maintaining and improving water quality, helping people and bears coexist, monitoring of wildlife and native fish species, wilderness management, and promoting responsible forest stewardship. Uwe tracks income, expenses, billing and match details for multiple grants. He prepares payroll information, pays bills and reimbursements, plus prepares financial reports for grants. Uwe prepares monthly reports for the Board of Directors and works with SVC's Board to prepare the annual budgets. He coordinates with the Treasurer to manage and track investments. In addition to his accounting responsibilities, Uwe helps with planning and fundraising. Laura has a Master's degree in Anthropology and Archaeology from the University of Wyoming. Her research interests include prehistoric hunter-gatherer mobility patterns, the use of high-altitude landscapes, and prehistoric human occupations in the Swan Valley. During the summer and fall, she conducts archaeological survey for various NEPA projects for the Flathead National Forest through Swan Valley Connections. She also serves as Financial Assistant for Swan Valley Connections. She assists the Financial Officer by handling the day to day finances of the organization. Paying bills, invoicing our grantors, and processing donations are only a few of the things she does to make sure our financial records are accurate and up-to-date. Occasionally, she mans the front desk when Leanna’s skills are needed elsewhere. Andrea grew up on the east coast where she attained a Bachelor’s in journalism and explored her passion in film photography. She relocated to the west coast after school, working in branding and social media in San Diego for two and a half years. She has always had a love for travel, wildlife and adventure, and after somewhat randomly finding an off-grid cabin in Condon, MT on craigslist, she packed her car three weeks later and traded the ocean for the mountains. It didn’t take long for Andrea to fall in love and feel at home in Montana where she has worked remotely in social media marketing and freelance photography for the past two years. She enjoys connecting to and learning as much as she can about her home in the Swan Valley and spends her free time being active outdoors and volunteering at a raptor rehabilitation center. As office manager, Leanna assists SVC's Executive Director and keeps office operations running smoothly. Leanna also provides visitor services for the thousands of people who come to the Condon Work Center every year. She serves the public by providing information, answering questions and assisting visitors with obtaining maps, firewood and burning permits, and more. Leanna also applies for funding through the Recreational Trails Program for our trail stewards; works with Missoula County Weed District for landowner cost share weed money and spearheads the Bubble Cap program for tree beetle repellant for landowners. Kirsten manages our individual donor and grants programs, securing public and private funding to support SVC’s conservation and education efforts. She completed her undergraduate studies in urban planning and policy and earned her Master of Public Administration at the University of Montana. 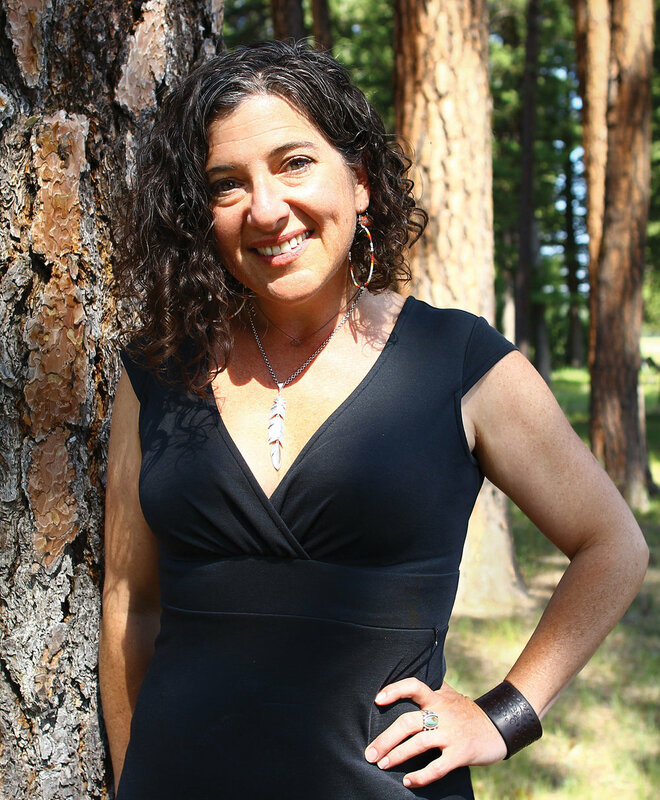 In addition to grant writing and fundraising, she has a broad background in the public and nonprofit sectors including coordination of a $25 million capital campaign, working in land use planning and affordable housing development in the Flathead Valley, and running her own animal rescue and adoption program. Kirsten spends her free time hiking with her dogs, exploring new trails horseback, and advocating for homeless pets. She and her husband have been lucky to live in Montana since 2004 with their menagerie of dogs, cats, horses, and a mule named Clarence. A Lewistown, Montana native, Mike has a passion for hunting, fishing and exploring wild places. Mike has a bachelor’s degree in Fish and Wildlife Management from Montana State University. Seasonal work for the U.S. Forest Service brought him to the Seeley Lake Ranger District in 2010 where he stayed for eight years. His time with the Forest Service included various work for the wildlife, fire, and recreation programs supporting many land and forest management projects. Mike is very interested in fire ecology and managing forest communities. He has enjoyed studying various wildlife species such as Canada lynx and wolverine across western Montana. During this time, he developed a deep love for the Swan Valley and became a resident in 2013. Rob first encountered Swan Valley Connections during a 2006 Winter Field Studies course. That experience helped forge his aims to be a naturalist, educator, and writer conserving biodiversity and ecosystem health. Beyond his work for watershed-based nonprofits that restore Atlantic and Pacific salmon (in Maine and Washington, respectively), Rob has been a citizen-scientist on the Isle Royale Wolf-Moose Project, and on phenology initiatives surveying forest songbirds, raptors, bumblebees, and native plants. A former board member of the Natural History Network, Rob has cultivated wonder and stewardship through his work with Whatcom Land Trust, the North Cascades Institute, and the 10,000 Years Institute, as well as through writing for Earth Island Journal, High Country News, Camas, and others. He is particularly devoted to beaver conservation, and served as a founding coordinator of Whatcom Beaver Partners, an independent citizens' group devoted to this goal. Rob is glad to be back in the Swan Valley, and can often be found exploring the area's abundant creeks and wetlands where he is most at home. As a result of a quarter-life crisis, Lindsay left her home state of Michigan to head west to Montana in 2013. She joined a conservation corps and spent the better part of two years backpacking and conducting trail work. Since her flight from Michigan, she has worked in several states working with youth in experiential education and conservation. Though, whenever she was away, she missed the beauty and community in Montana. Lindsay’s solution to missing Montana was to attend graduate school at the University of Montana. Lindsay has a Master of Science in Environmental Studies, with a certificate in Natural Resource Conflict Resolution. Collectively, these experiences have exposed her to her true passion; community engagement in watershed health. Lindsay is excited to start the next chapter of her life in the beautiful Swan Valley working alongside an equally passionate team!